For reservation inquiries and reservations of your Holiday, we ask you to fill in the fields below. Please enter your arrivel and departure date, also your e mail adress and phonenumber. We will contact you soon! Cap. Sociale Euro 10.710,00 i.v. 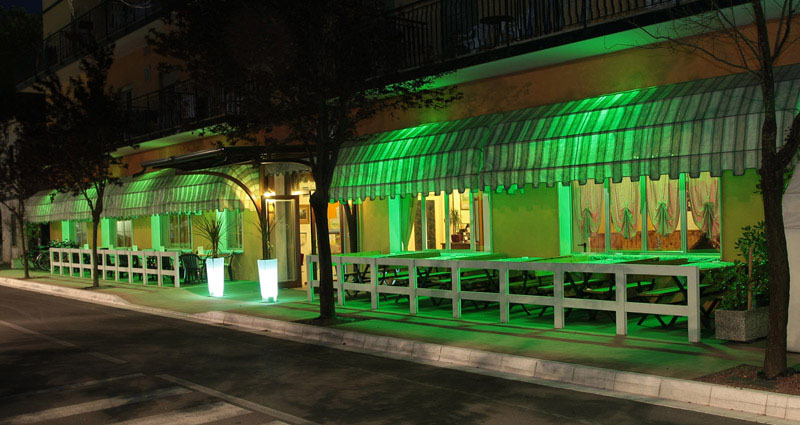 The Hotel is situated in the center of Jesolo, only 2 steps from Place Marina and 50 steps from the beach. His central place will assure you perfect holidays with relax and fun. In compliance with the Regulation EU 2016/679 and related national law, we provide to Data Subject the necessary information regarding the purposes and methods of personal data’s processing for what concerns the data released in the Contact form of this website. The data’s processing is based on the principles of lawfulness, fairness and transparency, limitation of purpose and storage, minimization, accuracy, protection by all legitimate means of integrity, confidentiality and rights. The Controller is TERRAZZA BAVARESE Srl in based in Via Toscanini, 40 – Jesolo – Venezia, Italy, contactable at: info@hotel-international.it. The processing operations will be carried out by Data Handler appointed by the Controller, who will operate under his direct authority in accordance with the instructions received. The personal data, voluntarily provided by the Data Subject through the compilation of the Contact form, will be exclusively processed for replying activity and for sending information as required by the Data Subject and for the legitimate interests pursued by the Controller. Will not be made any different data processing from the purposes specified here without delivery of the related Policy and the specific consent given from the Data Subject. Fill the fields of the Contact’s form with personal data is optional except for those fields indicated as mandatory. The mandatory data are necessary to achieve the purposes and denial to provide them will determine the impossibility, for the Controller and his Data Handler, to send answers and information as request by the Data Subject. The data will be processed with IT tools in compliance with the security measures required by current legislation. The personal data, given by the Data Subject by the compilation of the Contact form fields for ask question and / or ask information, will be stored in the relative application exclusively for the purposes indicated above. The Data Controller undertakes to observe specific security measures to prevent the loss of data, illicit or incorrect use and unauthorized access, in full compliance with the law and regulations. The data collected and processed in reference to this information is not communicated to third parties. The data will be archived for a period of 2 years after the last contact, unless the longer storage is legally permitted for other reasons or for the legitimate interests pursued by the Controller. propose a complaint to the Privacy Authority (in Italy: garanteprivacy.it ). For further information regarding laws and privacy rights, the Data Subject can visit the website of the respective competent Privacy Authority. Privacy Authority in Italy: www.garanteprivacy.it . The Data subject who wants to exercise his right must use the contacts of the Controller.